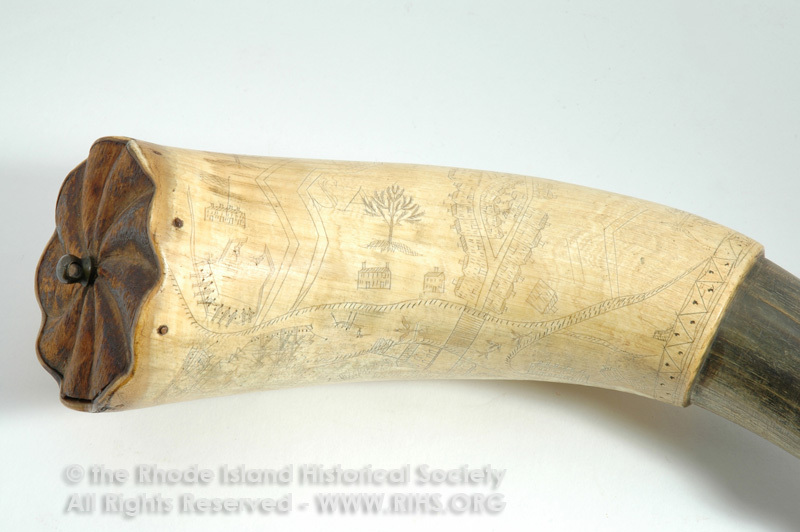 Powder horn on white horn carved with name of maker (Stephen Avery), year (1777), maps of Providence, trees, and two deer. The wide end is scalloped with wooden carved stopper and metal pull. 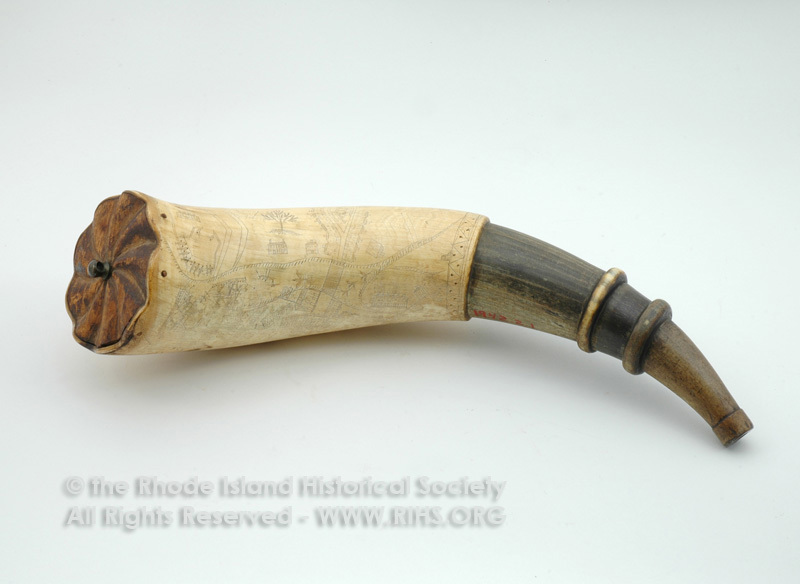 Narrow end is carved to dark horn with two ridges. Click here to add this link to your Bookmarks list. 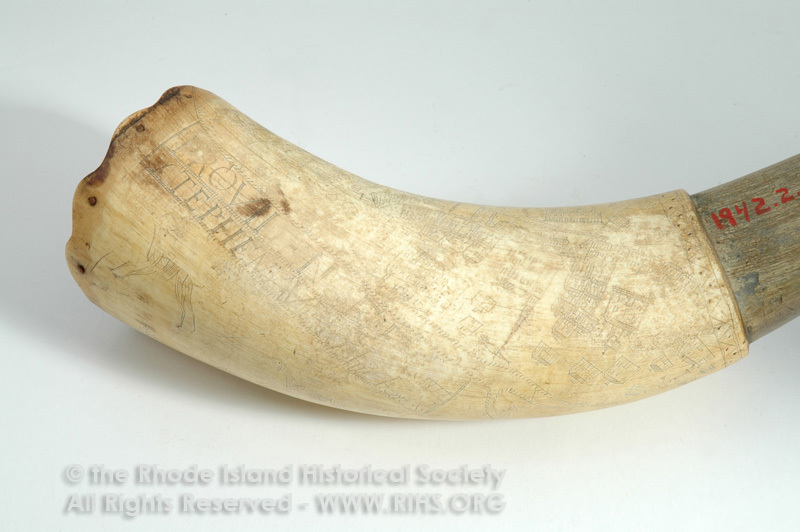 NETOP is a working database, providing online access to the Collections of the Rhode Island Historical Society. We have been collecting and cataloging since 1822, therefore records in NETOP may vary in level of detail. Every month we update, refine and complete the current records while adding new records and images.